get ready for some changes! Jaime is right, our site has been pretty quiet over the last month, so we’re going to shake it up a bit around here to get things going again! 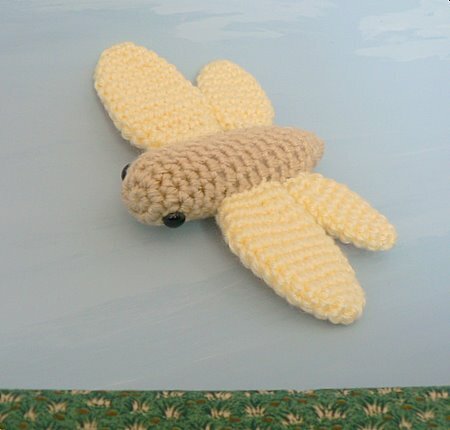 As of June 1st, the Crochet Along theme will be expanded to include ANY amigurumi as well as Summer Crochet. So start taking pics of any ami you’ve made throughout May, because as of June 1st, we want to see them all! I’d like to thank Tracie for helping me out with the admin side of the site for the past few months. We’re having another admin change this week, and the return of a familiar face 🙂 Stay tuned on June 1st for more on that! Here’s one of my latest while we wait – I’ll show you some more on Sunday! So, get your latest amigurumi together, or start making some new ones, and get ready to post them on or after June 1st (that’s this Sunday!) – we’ll remind you when it’s time! I feel like such a slug! I actually HAVE little tops I need to make my sweet Curly Girl but haven’t started them yet…..maybe this will kick start me!